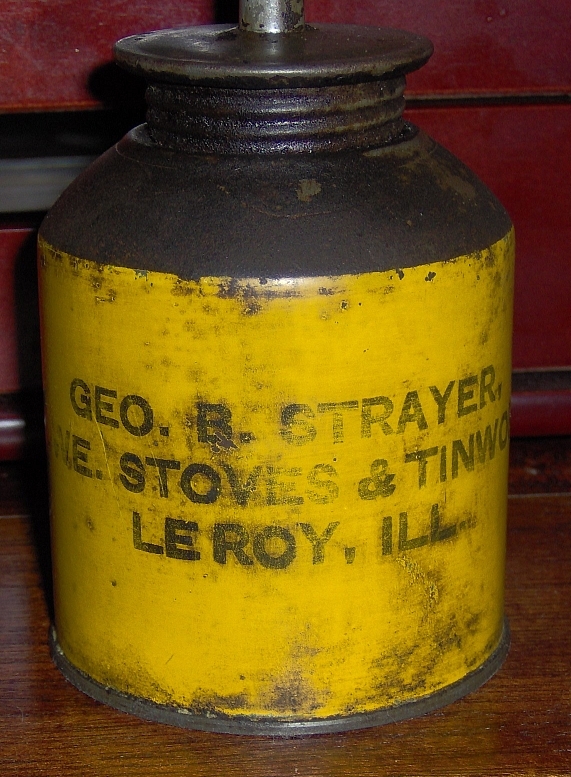 George.B.Strayer Hardware-Stoves & Tinwork LEROY ILL.This is an old oilcan from George Strayer of Leroy.I believe its from 1930s-40s era.Its about 7 1/4 inchs tall.I do not know where exactly this business was located.I did not find it listed in the library files. . .